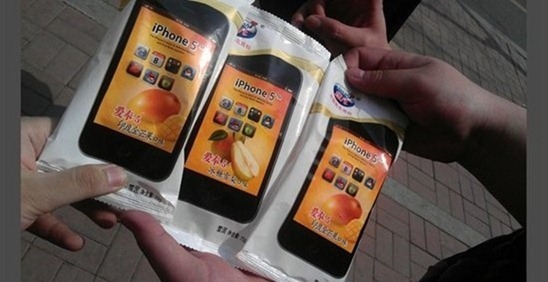 While many fans of Apple products in China are eagerly awaiting the debut of Apple Inc's iPhone 5, an ice cream named after the latest piece of must-have technology has already conquered young people in Shenyang, capital of Liaoning province. 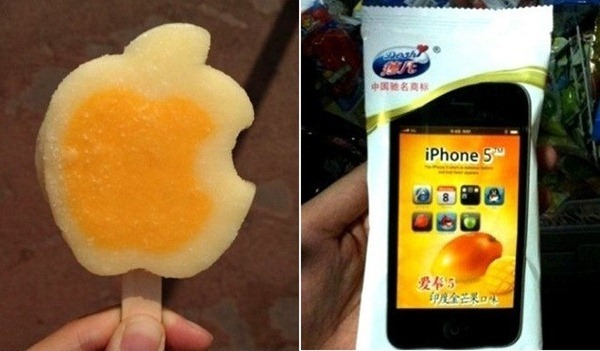 The iPhone 5 ice cream hit stores in April, it resembles the Apple logo and has a phone printed on its wrapping. "The target customers of iPhone and our ice cream are the same - young people who are stylish and fashionable. 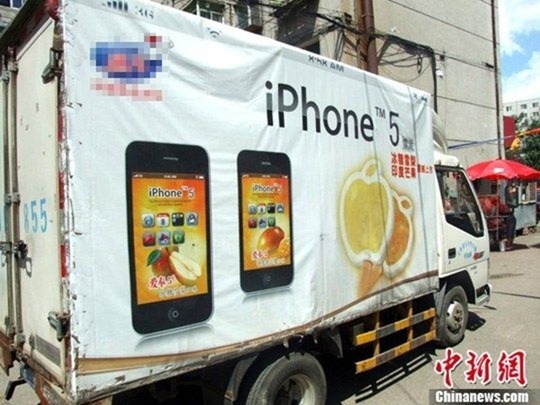 So we want to make use of iPhone's big influence to attract more customers," said Gao Yuxin, head of the marketing centre of Deshi Group, the producer of the ice cream. The ice cream is now a bestseller. "I can sell about 50 Apple ice creams per day, while only selling about 10 of other brands. Most of the buyers are young people," said Zhou Duo, owner of a small shop in Shenyang. 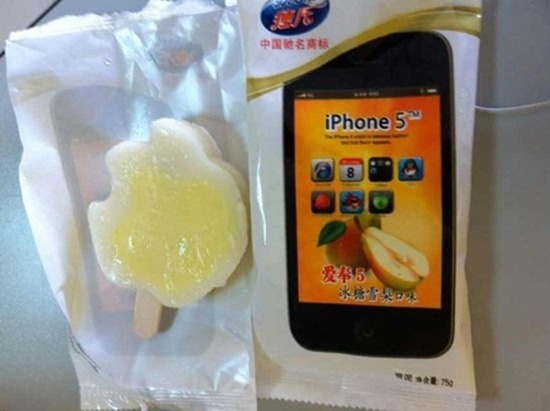 "I'm eating an 'iPhone 5'. It's fantastic and funny," said Xu Ying, a teenager who is also an Apple fan. Since Apple Inc's iPhone became a must-have gadget for many Chinese, the trademark "iPhone" has been registered in many fields. Apple Inc. only registered 27 of the 45 trademark classes in China. The rest of the categories have been registered by Chinese enterprises. According to Gao, Deshi submitted an application to register the trademark "iPhone 5" to the Trademark Office of the State Administration for Industry and Commerce last year. "We are waiting for the approval," Gao said. "Deshi can use the trademark because it is used in a different sector that Apple Inc. didn't register," Jiang Di, a lawyer, told China Daily. A staff member from the China trademark registration service centre said Deshi's use of the trademark is not an infringement. China Daily contacted the public relationships department of Apple Inc., but received no reply by press time. "Although this kind of registration is not illegal, it should not be encouraged. It will add a burden to trademark management and harm the development of domestic brands," Jiang said. "The authority should revise the Trademark Law to prevent such behavior. It's better for domestic companies to learn from Apple's technology and marketing strategy rather than using its brand to advertise," she added.